Cystal Clean Services is a local professional carpet and upholstery cleaning service located in Hamilton, Burlington, Brantford and St. Catharines. 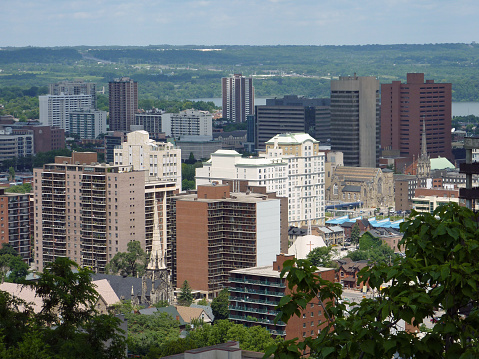 Our residential carpet cleaning service areas have also included many businesses throughout the Greater Hamilton and surrounding areas. We will clean your carpets in locations across the Golden Horseshoe including: Aldershot, Ancaster, Beamsville, Binbrook, Brantford, Burlington, Caledonia, Carlisle, Dundas, Flamborough, Fonthill, Freelton, Grimsby, Hamilton, Lincoln, Lynden, Millgrove, Mount Hope, Niagara Falls, Paris, Pelham, Smithville, St. Catharines, St. George, Stoney Creek, Thorold, Waterdown, Welland and Winona. Contact us today for all of your carpet cleaning needs. 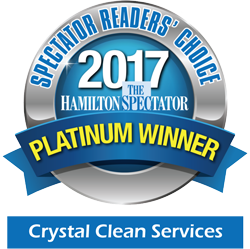 This service has helped us to be recognized once again as the "Readers Choice Awards" best carpet cleaner and furniture cleaning company in the greater Hamilton Wentworth area. That’s an achievement we are proud of.